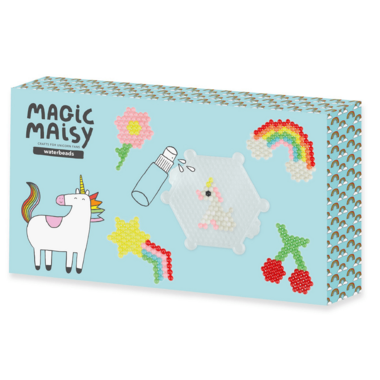 Magic Maisy Waterbeads let you think happy thoughts on the next rainy day. How about unicorns, stars and butterflies? Magic waterbeads provide hours of independent play with very little adult supervision. Create gorgeous designs and keep them forever. 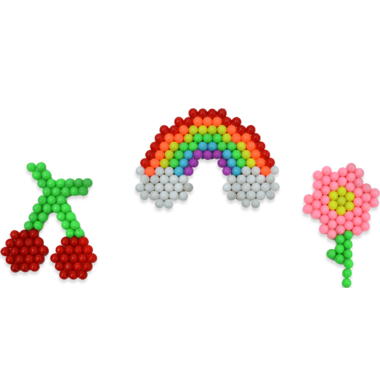 Add the beads to a pre-designed pattern and spray with water and a little bit of magic, then see what happens! Such a great gift for the little crafter. I like these a lot more than the other ones that you have to iron. Kept my daughter busy for a while. She is turning 6 and very into crafting. The patterns are very cute. Made me want to play too!